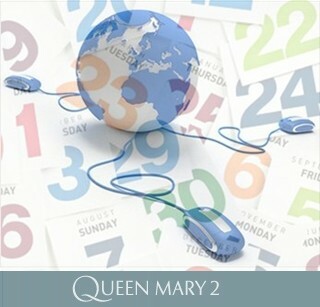 This is the Cunard Queen Mary 2 cruise 2019–2020–2021 itinerary schedule. Our Cunard QM2 ship’s complete sailing calendar also shows the QM2 cruise prices on all departures for comparison. QM2 cruise ship is among the biggest liners you’ll find listed in the Southampton cruise schedule (port terminals, driving directions, departures and arrivals dates at CruiseShipSchedule.com). Compare here departure dates and all the “affordable-luxury” to “inexpensive-discounted” Cunard QM2 cruise and crossings rates – to plan better your most British luxury vacations with the Britain’s Cunard Line. and all about this most special ship at the Cunard Line’s website. In the beginning of each year, the Cunard QM2 ship offers an over 100 days Around the World Voyage departing from Southampton England, UK. Remember, that Booking a smaller itinerary segment from the QM2 World Tour is the cheaper option. For detailed information, follow the “QM2 World Cruise” link above. Sometimes referred to as “repositioning (relocation) cruises”, the Queen Mary 2 ship offers during the whole year its regular classic one-way 7-night Cunard Transatlantic crossings between the ports of Southampton (London) and Brooklyn (NYC, New York). When the port of Hamburg in Germany is added, the one-way itineraries become of 9-nights, with departures from Hamburg with Southampton to New York, and the reverse from NYC. As part of these sailings, 2-night short cruises from Southampton to Hamburg and the reverse are also operated, with no additional call ports. You may also book a 18-night round-trip cruise from Hamburg to NYC as an option by the QM2 Transatlantic itinerary, plus the 14-night round-trip itinerary from Southampton to NYC. Queen Mary Mini cruises are with duration of 4 and 5 nights, operated as round-trip short cruise breaks to Europe from Southampton, including as ports of call in France (Le Havre, to Paris), Rotterdam in The Netherlands and in Belgium – Bruges (from Zeebrugge). Rarely, these short trips may also include visiting the UK’s Channel Islands. Queen Mary 2 cruises to Norway Fjords are operated as a 16-night round-trip itinerary from Southampton to Hamburg and the Norwegian ports Bergen, Andalsnes, Trondheim, Honningsvag, Tromso, Alesund and Stavanger, then calling again on Hamburg and returning to Southampton. In this group are also operated 10-night round-trip itineraries to Norway from Hamburg, and the longest are the 28-night combined itineraries from NYC with Norway to Southampton. Queen Mary cruises to Mediterranean from Southampton with round-trip departures are available with 10-night sailings visiting Vigo, Lisbon, Valencia, Barcelona. 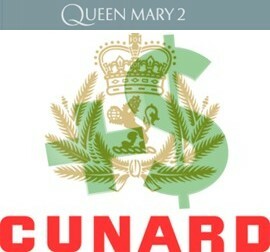 The Queen Mary cruise to Canary Islands from UK and New York is another Cunard special, with 11 and 12-night Southampton round-trip with Madeira (Funchal), the Canaries (visiting St Cruz De La Palma, Tenerife, Gran Canaria), and Lisbon. These sailings if combined with the Transatlantic from New York may last up to a month. Queen Mary 2 cruises to Caribbean are usually operated in December as special Caribbean Christmas cruise Holidays deals. The QM2 Caribbean itineraries are 19-night sailings from Southampton to New York and the Caribbean visiting St Thomas, Dominica, St Lucia, Barbados, St Kitts, and then returning to NYC. This itinerary is also available as 19-night Christmas cruise from NYC to Caribbean and Southampton (disembarkation), a 12-night round-trip NYC to Caribbean or 26-night round-trip from Southampton to Caribbean with NYC. round-trip Around Britain (“British Isles”) cruise from Southampton with Hamburg, Scotland (Greenock), Ireland (Dublin), Liverpool, Invergordon, Stavanger (Norway), Hamburg, 29-night as a round-trip from NYC and 11-night as a Hamburg round-trip. 8-night Transatlantic crossing UK to NYC. Queen Mary 2 cruises to Canada from UK and New York are offered in early Fall as short roundtrips from NYC to New England with calling on Halifax and Boston (on 5-night trips), 7-night trips with Boston, Bar Harbor and Halifax, and 11-night roundtrip NYC to Newport, Boston, Bar Harbor, Halifax, Saint John, Quebec City. If combined with the Transatlantic crossings, they can be booked as up to 19-night “back-to-back” (Southampton-NYC-Canada-NYC) or up to 25-night “back-to-back” (roundtrip UK to USA and Canada). Our Cunard Queen Mary 2 schedule shows cruise dates with tickets prices Per Person (on the cheapest available QM2 category cabins). Our QM2 cruise prices are regularly updated, but only show suggestive rates PP on the ship’s cheapest staterooms. These are usually the “Inside Britannia” cabins. If sold out, next are “Britannia Oceanview”, “Britannia Club Balcony”, “Princess Grill Suite” and the most expensive “Queens Grill Suite” accommodations available for booking. All QM2 prices are based on double occupancy, with fares in US dollars. All prices in this survey are indicative and most probably will change with sailing (departure) dates approaching, any available QM2 discounts/promotions, different travel agencies rates, last minute deals (Cunard), etc. Nevertheless, our QM2 cruise tickets prices comparison will show you the seasonal change in the ship’s rates, along with the range of savings attainable by booking early your Cunard deals. Government fees and taxes are always additional, and here we’ve marked them with “+$” at the end of each itinerary. See more at our QM2 tickets prices survey. These are links to the official websites of the port authorities of New York and New Jersey (panynj.gov) and of the ABP Southampton port operator (abports.co.uk). Below are listed all QM2 2019 World Cruise segments. For exact itinerary maps and ports of call information – follow this link to the QM2 World Tours page. Cruise prices are updated accordingly with the Cunard Line’s website rates. (April 28) 7-day westbound Transatlantic Crossing from Southampton to New York (May 5) – prices from $1390 pp; 14-day roundtrip Transatlantic – in Southampton on May 12 – N/A. (May 5) 7-day eastbound Transatlantic from New York City to Southampton (May 12) – N/A; 19-day roundtrip Transatlantic plus Zeebrugge (Bruges, 14), Guernsey (16), Southampton (17) – in New York on May 24 – N/A. (May 12) 5-day roundtrip from Southampton, visiting Zeebrugge (Bruges, 14 May), Guernsey (16) – N/A. (May 17) 7-day westbound Transatlantic Crossing from Southampton to New York (May 5) – N/A; 14-day roundtrip Transatlantic – in Southampton on May 31 – N/A. (May 24) 7-day eastbound Transatlantic from New York City to Southampton (May 31) – N/A; 14-day roundtrip Transatlantic – in New York on Jun 7 – N/A. (May 31) 7-day westbound Transatlantic Crossing from Southampton to New York (Jun 7) – N/A; 14-day roundtrip Transatlantic – in Southampton on Jun 14 – N/A. (June 7) 7-day eastbound Transatlantic from New York City to Southampton (14) – N/A; 9-day plus Hamburg (16) – $1400; 23-day roundtrip Transatlantic plus Zeebrugge (Bruges, 18), Guernsey (19), Hamburg (21), Southampton (23) – in New York on Jun 30 – N/A. (June 14) 2-day Southampton to Hamburg – $300; 9-day roundtrip from Southampton, visiting Hamburg (16), Zeebrugge (Bruges, 18), Guernsey (19), Hamburg (21) – N/A. (June 16) 5-day roundtrip from Hamburg, visiting Zeebrugge (Bruges, 18), Guernsey (19) – N/A. (June 21) 2-day from Hamburg to Southampton (23) – $300; 9-day plus New York City (30) – $1600 pp. (June 21) 16-day Transatlantic & North America plus Halifax (Jul 2), Boston (04&05), Newport (06), in New York on Jul 7 – N/A; 23-day plus Southampton (Jul 14) – N/A. (June 23) 7-day westbound Transatlantic Crossing from Southampton to New York (Jun 30) – N/A; 14-day plus Halifax (Jul 2), Boston (04&05), Newport (06), in New York City on Jul 7 – N/A. (June 23) 21-day roundtrip Transatlantic – in Southampton on Jul 14 – N/A. (June 30) 7-day roundtrip from New York City, visiting Halifax (Jul 2), Boston (04 & 05), Newport (06) – $1100 pp; 14-day eastbound Transatlantic, in Southampton on Jul 14 – $3220. (July 7) 7-day eastbound Transatlantic from New York City to Southampton (14) – $1710; 21-day roundtrip Transatlantic – in New York on Jul 28 – $3710. (Jul 14) 14-day westbound Transatlantic Crossing from Southampton to New York (Jul 28), visiting Liverpool (16), Reykjavik (19 & 20), Corner Brook (24), Halifax (26) – $2450; 21-day roundtrip Transatlantic – in Southampton on Aug 4 – $4050. (Jul 28) 7-day eastbound Transatlantic from New York City to Southampton (Aug 4) – $1430; 21-day roundtrip Transatlantic – in New York on Aug 18 – $3720. (August 4) 7-day roundtrip from Southampton, visiting Bergen (06), Alesund (07), Flam (08), Stavanger (09) – $1700 pp. (August 11) 7-day westbound Transatlantic Crossing from Southampton to New York (Aug 18) – $1400; 14-day roundtrip Transatlantic – in Southampton on Aug 25 – from $2800. (August 18) 7-day eastbound Transatlantic from New York City to Southampton (25) – from $1680; 14-day roundtrip from New York – from $2500 pp. (August 25) 7-day westbound Transatlantic Crossing from Southampton to New York (Sept 1) – N/A; 14-day plus Bar Harbor (03), Corner Brook (05), Sept-Iles (06), Quebec City (07) – N/A. (August 25) 28-day roundtrip from Southampton, plus Saguenay (10), Sydney (12), Halifax (13), New York City (15) – N/A; 30-day plus Hamburg – N/A. (September 1) 7-day New York City to Bar Harbor (03), Corner Brook (05), Sept-Iles (06), Quebec City (07) – $1100; 14-day roundtrip to New York (15) plus Saguenay (10), Sydney (12), Halifax (13) – $2350. (September 1) 21-day Transatlantic plus Southampton (22) – $4320; 23-day plus Hamburg (24) – N/A. (September 8) 7-day Quebec City to Saguenay (10), Sydney (12), Halifax (13), New York (15) – $1110; 14-day Transatlantic plus Southampton (22) – $2760; 16-day plus Hamburg – N/A. (September 15) 7-day eastbound Transatlantic from New York City to Southampton (22) – N/A; 9-day plus Hamburg – $2130; 19-day roundtrip from New York plus Paris – N/A. (September 22) – 2-day Southampton to Hamburg – $300; 4-day roundtrip from Southampton – $500. (September 24) 2-day Hamburg to Southampton – $300; 10-day Transatlantic plus Paris, New York (Oct 4) – N/A; 17-day plus Bar Harbor (06), Corner Brook (08), Sept-Iles (09), Quebec City (10) – N/A; 24-day plus Saguenay (13), Sydney (15), Halifax (16), New York City (18) – N/A; 33-day Transatlantic plus Southampton (25), Hamburg (27) – N/A. (September 26) 8-day westbound Transatlantic Crossing from Southampton to New York (Oct 4), visiting Paris (Sept 27) – N/A; 15-day plus Bar Harbor (06), Corner Brook (08), Sept-Iles (09), Quebec City (10) – N/A; 22-day plus Saguenay (13), Sydney (15), Halifax (16), New York City (18) – N/A; 29-day roundtrip to Southampton (25) – N/A. (September 27) 8-day westbound Transatlantic Crossing from Paris to New York (Oct 4) – N/A. (October 4) 7-day from New York City to Bar Harbor (06), Corner Brook (08), Sept-Iles (09), Quebec City (10) – $1120; 14-day roundtrip to New York plus Saguenay (13), Sydney (15), Halifax (16), New York City (18) – $2410; 21-day Transatlantic to Southampton (25) – $3950; 23-day plus Hamburg (27) – $4250. (October 11) 7-day Quebec City to Saguenay (13), Sydney (15), Halifax (16), New York City (18) – $1020; 14-day Transatlantic to Southampton (25) – $2670; 16-day plus Hamburg (27) – N/A. (October 18) 7-day eastbound Transatlantic from New York City to Southampton (25) – from $1540; 9-day plus Hamburg (27)- $1600. (October 25) 2-day Southampton to Hamburg – $300. (November 1) 2-day Hamburg to Southampton – $300; 9-day westbound Transatlantic Crossing from Hamburg to New York (10), visiting Southampton (Nov 3) – $1430. (November 3) 7-day westbound Transatlantic Crossing from Southampton to New York (Nov 10) – N/A; 14-day roundtrip Transatlantic – in Southampton on Nov 17 – $2250 pp. (November 10) 7-day eastbound Transatlantic from New York City to Southampton (17) – from $1510; 16-day roundtrip New York plus Zeebrugge (Bruges, 18) – $2150. (November 17) 2-day roundtrip Southampton, visiting Zeebrugge (18) – $310. (November 19) 7-day westbound Transatlantic Crossing from Southampton to New York (Nov 26) – $1950; 19-day New York roundtrip, plus Tortola (30), Roseau Dec 1), Bridgetown (02), Castries (03), Basseterre (04) – N/A; 26-day roundtrip to Southampton (15) – N/A. (November 26) 12-day roundtrip from New York City, visiting Tortola (30), Roseau (Dec 1), Bridgetown (02), Castries (03), Basseterre (04) – $1840; 19-day Transatlantic to Southampton (Dec 15) – N/A. (December 8) 7-day eastbound Transatlantic from New York City to Southampton (Dec 15) – $950; 14-day roundtrip Transatlantic – in New York City on Dec 22 – $2200 pp. (December 15) 7-day westbound Transatlantic Crossing from Southampton to New York (Dec 22) – $1130; 19-day plus St Thomas (26), Roseau (27), Bridgetown (28), Basseterre (29), Philipsburg (30), New York City (Jan 3) – from $3830; 26-day Transatlantic to Southampton (Jan 10) – $5070. (December 22) 12-day roundtrip from New York City, visiting St Thomas (26), Roseau (27), Bridgetown (28), Basseterre (29), Philipsburg (30) – from $2830 pp; 19-day Transatlantic to Southampton (Jan 10) – N/A. Below are listed all QM2 2020 World Cruise segments. 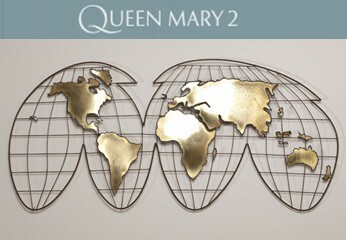 For exact itinerary maps and ports of call information – follow this link to the QM2 World Tours page. Cruise prices are updated accordingly with the Cunard Line’s website rates. (January 3) 7-day eastbound Transatlantic from New York City to Southampton (Jan 10) – $1130; 27-day plus Lisbon (13), Naples (16), Haifa (19&20), Aqaba (23), Dubai (30) – $3900 pp; 46-day plus Muscat (Feb 1), Colombo (05), Phuket (09), Penang (10), Klang (Kuala Lumpur, 11), Singapore (12&13), Ho Chi Minh City (15), Nha Trang (16), Hong Kong (18) – N/A; 113-day plus Bitung (23), Darwin (26), Airlie Beach (Mar 1), Brisbane (03), Sydney (05&06), Melbourne (08), Adelaide (10), Margaret River (13), Fremantle (14), Port Louis (22), Saint-Denis (23), Durban (27), Port Elizabeth (29), Cape Town (Mar 31-Apr 2), Walvis Bay (04), Tenerife (13), Funchal (14), Southampton (18), New York City (25) – $16250 pp. (January 10) 34-day from Southampton to Singapore, visiting Lisbon (13), Naples (16), Haifa (19&20), Aqaba (23), Dubai (30) – N/A; 39-day plus Ho Chi Minh City (15), Nha Trang (16), Hong Kong (18) – N/A; 56-day plus Muscat (Feb 1), Colombo (05), Phuket (09), Penang (10), Klang (Kuala Lumpur, 11), in Singapore on 12&13 – $7900 pp; 64-day plus Bitung (23), Darwin (26), Airlie Beach (Mar 1), Brisbane (03), Sydney (05&06), Melbourne (08), Adelaide (10), Margaret River (13), Fremantle (14) – N/A; 99-day plus Port Louis (22), Saint-Denis (23), Durban (27), Port Elizabeth (29), Cape Town (Mar 31-Apr 2), Walvis Bay (04), Tenerife (13), Funchal (14), Southampton (18) – prices from $14820 pp. (January 30) 14-day from Dubai to Singapore, visiting Muscat (Feb 1), Colombo (05), Phuket (09), Penang (10), Klang (Kuala Lumpur, 11) – N/A; 19-day plus Ho Chi Minh City (15), Nha Trang (16), Hong Kong (18) – N/A; 36-day plus Bitung (23), Darwin (26), Airlie Beach (Mar 1), Brisbane (03), Sydney (05&06) – N/A; 44-day plus Melbourne (08), Adelaide (10), Margaret River (13), Fremantle (14) – N/A. (February 13) 5-day from Singapore to Hong Kong – $770 pp; 22-day from Singapore to Sydney, visiting Ho Chi Minh City (15 ), Nha Trang (16), Hong Kong (18&19), Bitung (23), Darwin (26), Airlie Beach (Mar 1), Brisbane (03) – $3020 pp; 30-day plus Melbourne (08), Adelaide (10), Margaret River (13), Fremantle (14) – prices from $4180 pp; 48-day plus Port Louis (22), Saint-Denis (23), Durban (27), Port Elizabeth (29), Cape Town (31) – from $6460 pp. (February 18) 17-day from Hong Kong to Sydney, visiting Bitung (23), Darwin (26, Airlie Beach (Mar 1), Brisbane (03) – $2420 pp; 25-day plus Melbourne (08), Adelaide (10), Margaret River (13), Fremantle (14) – $3560 pp; 43-day plus Port Louis (22), Saint-Denis (23), Durban (27), Port Elizabeth (29), Cape Town (Mar 31-Apr 2) – $5840 pp; 60-day plus Walvis Bay (04), Tenerife (13), Funchal (14), Southampton (18) – N/A. (March 6) 8-day from Sydney to Fremantle, visiting Melbourne (08), Adelaide (10), Margaret River (13) – N/A; 26-day plus Port Louis (22), Saint-Denis (23), Durban (27), Port Elizabeth (29), Cape Town (Mar 31-Apr 2) – $3300 pp; 43-day plus Walvis Bay (04), Tenerife (13), Funchal (14), Southampton (18) – prices from $5230 pp. (March 14) 18-day from Fremantle to Cape Town, visiting Port Louis (22), Saint-Denis (23), Durban (27), Port Elizabeth (29) – $2280 pp; 35-day plus Walvis Bay (04), Tenerife (13), Funchal (14), Southampton (18) – prices from $4220 pp. (April 1) 17-day from Cape Town to Southampton, visiting Walvis Bay (04), Tenerife (13), Funchal (14) – $1940 pp; 24-day Transatlantic plus New York City (25) – N/A. (April 18) 7-day westbound Transatlantic Crossing from Southampton to New York (Apr 25) – $1130 pp; 14-day roundtrip Transatlantic – in Southampton UK on May 2 – $2390 pp. (April 25) 7-day eastbound Transatlantic Crossing from New York to Southampton (May 2) – $1240 pp; 9-day plus Hamburg – $1340 pp. (May 2) 2-day from Southampton to Hamburg (May 4) – $390 pp; 4-day roundtrip Southampton, visiting Hamburg (4) – $730 pp. (May 4) 2-day Transatlantic from Hamburg to Southampton (May 6) – from $390 pp; 9-day plus New York City (May 13) – prices from $1390 pp. (May 6) 7-day Transatlantic from Southampton to New York City (May 13) – $1310 pp; 14-day roundtrip Transatlantic – in Southampton UK on May 20 – from $2730 pp. (May 13) 7-day eastbound Transatlantic Crossing from New York to Southampton (May 20) – $1430 pp; 18-day plus Zeebrugge (Bruges, 22), Guernsey (23), Southampton (24), New York City (31) – from $3190 pp. (May 20) 4-day roundtrip Southampton, visiting Zeebrugge (Bruges, 22), Guernsey (23) – prices from $730 pp. (May 24) 7-day Transatlantic from Southampton to New York City (May 31) – $1490 pp; 14-day roundtrip Transatlantic – in Southampton UK on Jun 7 – $2790 pp. (May 31) 7-day eastbound Transatlantic Crossing from New York to Southampton (June 7) – $1430 pp; 14-day roundtrip Transatlantic – in New York on June 14 – from $2540 pp. (June 7) 7-day westbound Transatlantic from Southampton to New York City (14) – $1370 pp; 14-day roundtrip Southampton (21) – from $2550 pp. (June 14) 7-day eastbound Transatlantic from New York City to Southampton (21) – $1310 pp; 15-day plus Le Havre (Paris, 22), New York City (29) – $2440 pp. (June 21) 8-day westbound Transatlantic from Southampton to New York City (29), visiting Le Havre (Paris, 22) – $1370 pp; 15-day plus Halifax (Jul 1&2), Portland (03), Boston (4&5), New York City (06) – from $3050 pp; 22-day roundtrip Southampton (13) – prices from $4000 pp. (June 22) 7-day westbound Transatlantic from Le Havre (Paris, 22) to New York City (29) – prices from $1310 pp. (June 29) 7-day roundtrip from New York City, visiting Halifax (Jul1 &2), Portland (03), Boston (4&5) – from $1870 pp; 14-day Transatlantic plus Southampton (13) – $3000 pp; 16-day Transatlantic plus Southampton (13) and Hamburg (15) – $3100 pp. (July 6) 7-day eastbound Transatlantic from New York City to Southampton (13) – $1340 pp; 9-day plus Hamburg (15) – $1200 pp; 25-day roundtrip NYC, plus Alesund (17), Olden (18), Flam (19), Bergen (20), Hamburg (22), Southampton (24), New York City (31) – from $4750 pp. (July 13) 2-day from Southampton to Hamburg (15) – $390 pp; 11-day roundtrip, plus Alesund (17), Olden (18), Flam (19), Bergen (20), Hamburg (22), Southampton (24) – prices from $2970 pp. (July 15) 7-day roundtrip from Hamburg, visiting Alesund (17), Olden (18), Flam (19), Bergen (20) – $1550 pp. (July 22) 2-day from Hamburg to Southampton (24) – $390 pp; 9-day Transatlantic to New York City (31) – from $1390 pp; 23-day Transatlantic plus Halifax (Aug 2), Corner Brook (04), Reykjavik (8&9), Oban (11), Greenock (Glasgow, 12), Southampton (14) – N/A. (July 24) 7-day westbound Transatlantic from Southampton to New York City (31) – $1250 pp; 21-day roundtrip Southampton (Aug 14), plus Halifax (Aug 2), Corner Brook (04), Reykjavik (8&9), Oban (11), Greenock (Glasgow, 12) – from $3150 pp. (July 31) 14-day eastbound Transatlantic & Iceland from New York City to Southampton, visiting Halifax (Aug 2), Corner Brook (04), Reykjavik (8&9), Oban (11), Greenock (Glasgow, 12) – prices from $1760 pp; 21-day roundtrip plus New York City (21) – $3760 pp. (August 14) 7-day westbound Transatlantic from Southampton to New York City (21) – $1310 pp; 14-day roundtrip Southampton (28) – from $2550 pp. (August 21) 7-day eastbound Transatlantic from New York City to Southampton (28) – $1430 pp; 21-day roundtrip New York City, plus Stavanger (30), Flam (31), Alesund (Sep 1), Bergen (02), Southampton (04) – from $3790 pp. (August 28) 7-day roundtrip Southampton (28), Stavanger (30), Flam (31), Alesund (Sep 1), Bergen (02) – prices from $1580 pp. (September 4) 7-day westbound Transatlantic from Southampton to New York City (11) – $1480 pp; 14-day plus Newport (12), Boston (13), Sydney (15), Quebec City (17) – from $2650 pp; 21-day plus Saguenay (20), Sept-Iles (21), Halifax (23), New York City (25) – $3900 pp; 28-day roundtrip Southampton (Oct 2) – $4850 pp. (September 11) 7-day from New York City to Quebec City, visiting Newport (12), Boston (13), Sydney (15) – prices from $1340 pp; 14-day roundtrip, plus Saguenay (20), Sept-Iles (21), Halifax (23), New York City (25) – $2390 pp; 21-day Transatlantic to Southampton (Oct 2) – from $3750 pp. (September 18) 7-day from Quebec City to New York City, visiting Saguenay (20), Sept-Iles (21), Halifax (23) – from $1340 pp; 14-day Transatlantic to Southampton (Oct 2) – prices from $2500 pp. (September 25) 7-day eastbound Transatlantic from New York City to Southampton (Oct 2) – $1340 pp; 14-day roundtrip New York City (09) – from $2440 pp. (October 2) 7-day westbound Transatlantic Crossing from Southampton to New York (Oct 9) – $1390 pp; 14-day plus Newport (10), Boston (11), Sydney (13), Quebec City (15) – $2550 pp; 21-day plus Saguenay (18), Sept-Iles (19), Halifax (21), New York City (23) – $3850 pp; 28-day roundtrip Southampton, England (30 Oct) – prices from $4700 pp; 30-day Transatlantic to Hamburg (Nov 1) – $4750 pp. (October 9) – 7-day from New York to Quebec City, visiting Newport (10), Boston (11), Sydney (13) – from $1340 pp; 14-day plus Saguenay (18), Sept-Iles (19), Halifax (21), New York City (23) – from $2390 pp; 21-day Transatlantic plus Southampton (Oct 30) – $3450 pp; 23-day plus Hamburg (Nov 1) – N/A. (October 16) 7-day from Quebec City to New York City, visiting Saguenay (18), Sept-Iles (19), Halifax (21) – prices from $1340 pp; 14-day Transatlantic plus Southampton (30) – N/A; 16-day plus Hamburg (Nov 1) – $2500 pp. (October 23) 7-day eastbound Transatlantic from New York City to Southampton (30) – from $1240 pp; 9-day plus Hamburg (Nov 1) – $1340 pp. (October 30) 2-day from Southampton to Hamburg (Nov 1) – from $390 pp. (November 28) 3-day roundtrip Southampton, visiting Zeebrugge (Bruges, 30), in Southampton on Dec 1 – $760 pp. (December 1) 7-day westbound Transatlantic Crossing from Southampton to New York (Dec 8) – $1250 pp; 14-day roundtrip Transatlantic – in Southampton UK on Dec 15 – $2380 pp. (December 8) 7-day eastbound Transatlantic Crossing from New York to Southampton (Dec 15) – $1200 pp. Below are listed all QM2 2021 World Cruise segments. For exact itinerary maps and ports of call information – follow this link to the QM2 World Tours page. Cruise prices are updated accordingly with the Cunard Line’s website rates. (January aa) aaa-day eastbound Transatlantic from New York City to Southampton (Jan 10) – $1300; 27-day plus Lisbon (13), Naples (16), Haifa (19&20), Aqaba (23), Dubai (30) – $4250 pp; 46-day plus Muscat (Feb 1), Colombo (05), Phuket (09), Penang (10), Klang (Kuala Lumpur, 11), Singapore (12&13), Ho Chi Minh City (15), Nha Trang (16), Hong Kong (18) – $7680 pp; 113-day plus Bitung (23), Darwin (26), Airlie Beach (Mar 1), Brisbane (03), Sydney (05&06), Melbourne (08), Adelaide (10), Margaret River (13), Fremantle (14), Port Louis (22), Saint-Denis (23), Durban (27), Port Elizabeth (29), Cape Town (Mar 31-Apr 2), Walvis Bay (04), Tenerife (13), Funchal (14), Southampton (18), New York City (25) – $20110 pp. (January aa) aaa-day from Southampton to Singapore, visiting Lisbon (13), Naples (16), Haifa (19&20), Aqaba (23), Dubai (30) – $5560 pp; 39-day plus Ho Chi Minh City (15), Nha Trang (16), Hong Kong (18) – $6380 pp; 56-day plus Muscat (Feb 1), Colombo (05), Phuket (09), Penang (10), Klang (Kuala Lumpur, 11), in Singapore on 12&13 – $8970 pp; 64-day plus Bitung (23), Darwin (26), Airlie Beach (Mar 1), Brisbane (03), Sydney (05&06), Melbourne (08), Adelaide (10), Margaret River (13), Fremantle (14) – $10980 pp; 99-day plus Port Louis (22), Saint-Denis (23), Durban (27), Port Elizabeth (29), Cape Town (Mar 31-Apr 2), Walvis Bay (04), Tenerife (13), Funchal (14), Southampton (18) – prices from $17890 pp. (January aa) aaa-day from Dubai to Singapore, visiting Muscat (Feb 1), Colombo (05), Phuket (09), Penang (10), Klang (Kuala Lumpur, 11) – $2110 pp; 19-day plus Ho Chi Minh City (15), Nha Trang (16), Hong Kong (18) – $2870 pp; 36-day plus Bitung (23), Darwin (26), Airlie Beach (Mar 1), Brisbane (03), Sydney (05&06) – $5890 pp; 44-day plus Melbourne (08), Adelaide (10), Margaret River (13), Fremantle (14) – $7690 pp. (February aa) aaa-day from Singapore to Sydney, visiting Ho Chi Minh City (15 ), Nha Trang (16), Hong Kong (18&19), Bitung (23), Darwin (26), Airlie Beach (Mar 1), Brisbane (03) – $3780 pp; 30-day plus Melbourne (08), Adelaide (10), Margaret River (13), Fremantle (14) – prices from $5220 pp; 48-day plus Port Louis (22), Saint-Denis (23), Durban (27), Port Elizabeth (29), Cape Town (31) – from $8070 pp. (February aa) aaa-day from Hong Kong to Sydney, visiting Bitung (23), Darwin (26, Airlie Beach (Mar 1), Brisbane (03) – $3020 pp; 25-day plus Melbourne (08), Adelaide (10), Margaret River (13), Fremantle (14) – $4600 pp; 43-day plus Port Louis (22), Saint-Denis (23), Durban (27), Port Elizabeth (29), Cape Town (Mar 31-Apr 2) – $7300 pp; 60-day plus Walvis Bay (04), Tenerife (13), Funchal (14), Southampton (18) – prices from $9730 pp. (March aa) aaa-day from Sydney to Fremantle, visiting Melbourne (08), Adelaide (10), Margaret River (13) – prices from N/A; 26-day plus Port Louis (22), Saint-Denis (23), Durban (27), Port Elizabeth (29), Cape Town (Mar 31-Apr 2) – $4120 pp; 43-day plus Walvis Bay (04), Tenerife (13), Funchal (14), Southampton (18) – prices from $6540 pp. (March aa) aaa-day from Fremantle to Cape Town, visiting Port Louis (22), Saint-Denis (23), Durban (27), Port Elizabeth (29) – $2850 pp; 35-day plus Walvis Bay (04), Tenerife (13), Funchal (14), Southampton (18) – prices from $5280 pp. (April aa) aaa-day from Cape Town to Southampton, visiting Walvis Bay (04), Tenerife (13), Funchal (14) – $2430 pp; 24-day Transatlantic plus New York City (25) – $3300 pp. (April aa) aaa-day eastbound Transatlantic Crossing from New York to Southampton (May 2) – $1300 pp. Our Cunard Queen Mary 2 cruise ship itinerary program review shows the busy schedule of the world’s most famous liner providing a 100% guaranteed exceptional travel vacation. Cunard QM2 deals are some of Britain’s most special travel deals – on a classic ocean liner with a scale of old-fashioned, stylish, top-luxury services the world has never seen before! Enjoy it!